Call me crazy—I love doing laundry. Of course I do use the modern conveniences—a washer and dryer. Who of my generation would forget the wringer washing machines our moms used to wash the family’s dirty duds? 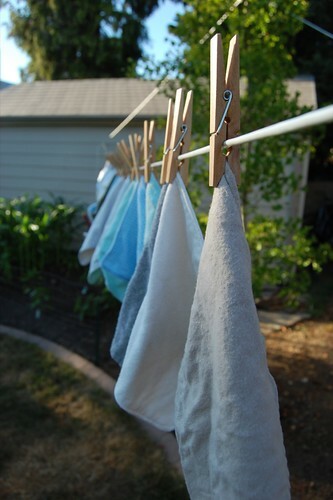 Once wrung, they’re hung by clothespins out in the backyard (or in the basement) on the clothesline. Was there anything better than climbing into a bed made with clean sheets naturally dried in the line? 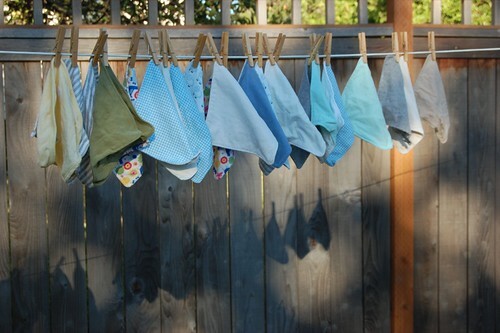 It must be memories of my mother hanging clothes out to dry that bring that lump to my throat when I hear Wynonna Judd sing, “All of that Love from Here.” And then there’s that collection of clothesline pictures. These are definitely going in my collection. I LOVE this post! 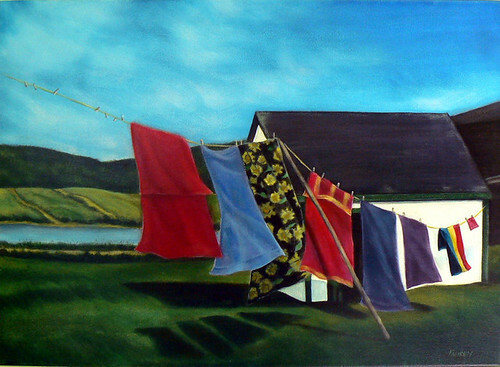 Hanging laundry is my very favorite chore! I agree. 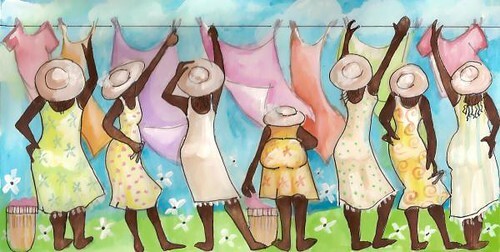 Sometimes I see a clothesline and wonder if I could take a basket of sheets and “rent” their line. 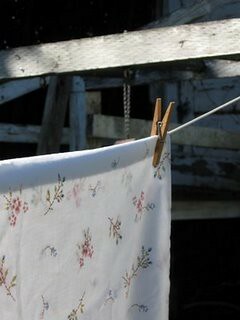 I don’t miss the mid-west winter ordeal of hanging stuff on the line to have it freeze dry. I love your chorus line picture!